Who Controls the San Antonio Fire and Police Pension Fund? 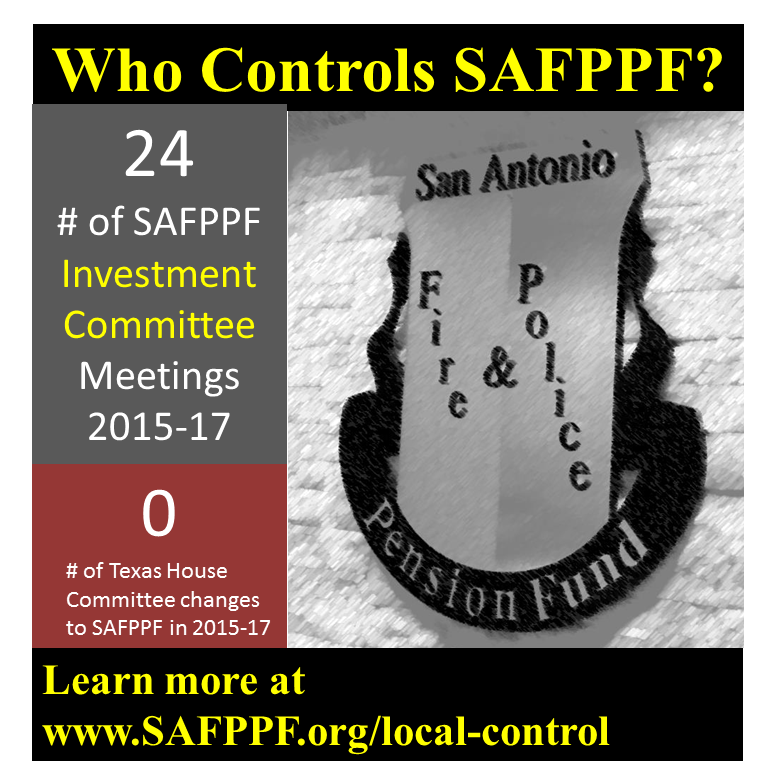 The San Antonio Fire and Police Pension Fund is governed by a statutory trust created by the Texas Legislature. 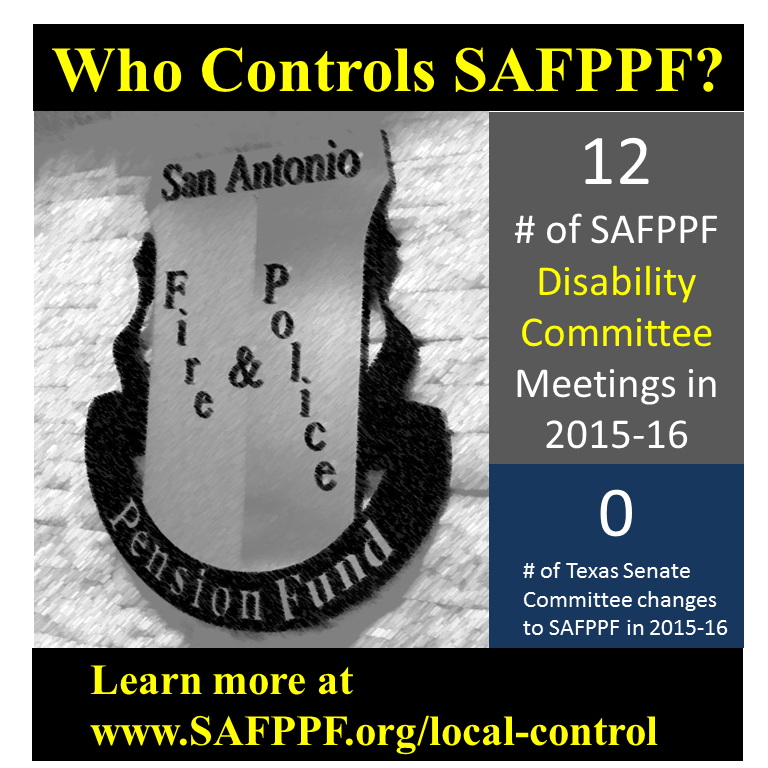 Unfortunately, because of their political ideology, some political organizations are trying to create the illusion that therefore the Legislature “controls” the SAFPPF. In placing SAFPPF governing covenants in statute, the Legislature recognizes that changes may only be made when all parties involved with the pension plan are fully agreed with any modifications proposed by one or more groups. This means that, before any Legislative vote is taken regarding plan modifications, unanimous consent must be gained from the citizens of our city through their city council representatives; the pension fund Trustees; the fire and police unions; public safety retirees through their elected representatives; an independent auditor and actuary of the pension fund; the Texas Pension Review Board; and the local Bexar County legislative delegation. Despite this very inclusive and thorough local process, those advocating against the current system say they want to abandon the current statute and enact Local Control, which in their definition means exclusive city council control of pension funding and benefits for employees. 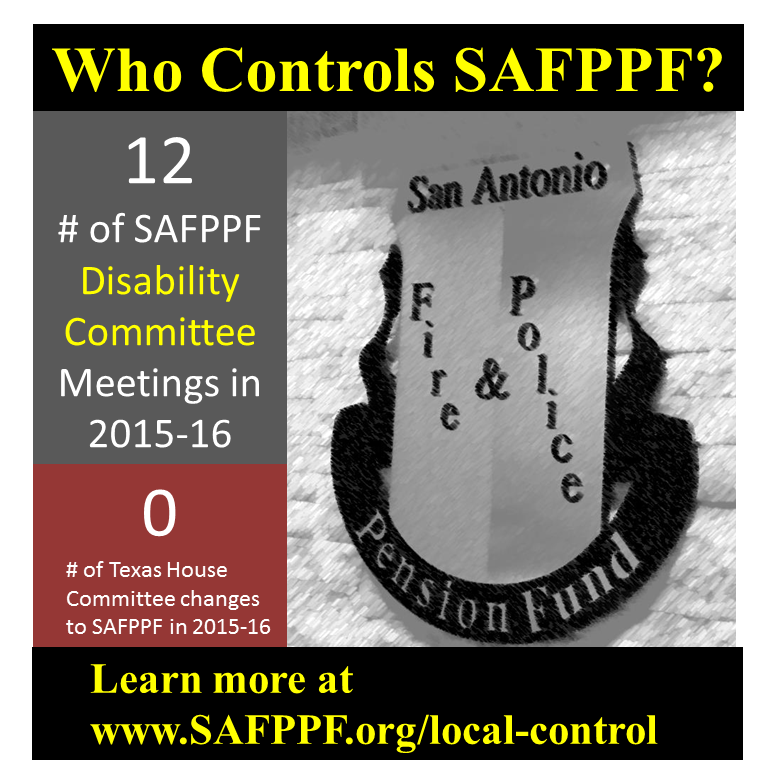 Pension funds across the United States and Texas have suffered from such governance. 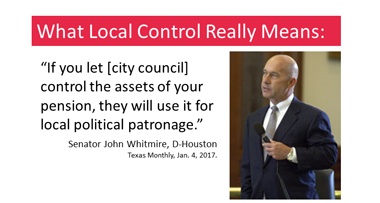 Because they are political by nature, city council decision making often bows to short-term election politics, not the long-term steadiness needed for good pension fund management. In places where the city council controls their pension funds, they have bowed to union pressures for increased benefits, or redirected pension funding to pet city projects. Both actions have jeopardized their local pension funds’ health by breaking key tenants for consistent, regular funding. 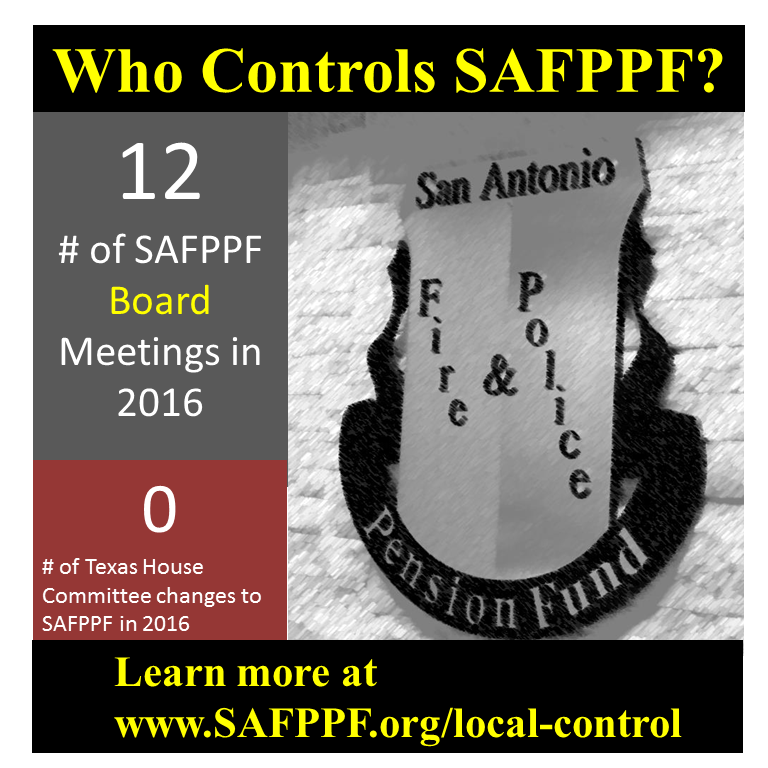 Our Who Controls the SAFPPF? campaign is intended to help everyone understand how the current system is set up and how its inclusiveness of local stakeholders belies claims that the Legislature controls our pension fund. It will also show how well the current system has worked for San Antonio and why it should be maintained.